Tags: 2020VQ, Book, challenges, community, Inspiration, Outreach, Randy. If you have kept score you might have noticed we missed a pair of blogs here at 2020 Vision Quest’s “On The Path” outreach to our community. If you are wondering who is responsible for such things, look no further than me as that’s one of my duties. I’m a little disappointed but I have to tell you the “To Do” list piled up a little more than normal and I had to make some decisions in the priority. Today I get to share both my response to the feeling of being overwhelmed and some of the rather fantastic reasons behind it all. I do not always respond ideally to feeling like I’m on the edge. 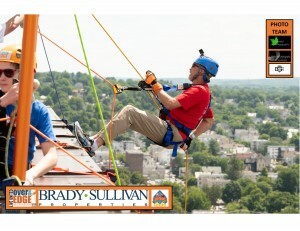 This rather fun photo from the United Way “United Over the Edge” event last June highlights one positive response to a physical moment. In life moments I feel the stresses and pressure of a schedule occasionally a bit out of control. For me a list and a priority plan are quality tools but the best tool of all is to share how I’m feeling to inspire a little collaboration on the plan for managing. Essential in that process is to understand frustration leads faster to failure and curiosity creates calm. The quicker I convert frustration to curiosity, the quicker I’m on the path to resolution. Schools are at the heart of our mission and we are back at schools presenting with reviews already suggesting we are on the right path! Did I mention we have this enormous book launch incredibly close to happening? You might even expect the big news in next week’s blog on official dates, blurbs and more! Our 2020 Vision Quest website has been in the midst of a massive redesign and will launch on Wednesday of this week! We are excited to share the many aspects of it we feel will allow it to help us further our mission. Most of you know I dislocated my ankle badly last November and ultimately dashed my National Marathon Championship hopes. I’m hard at work training to be ready for the December 2 return with Rodney Andre guiding me to the best performance I can provide. 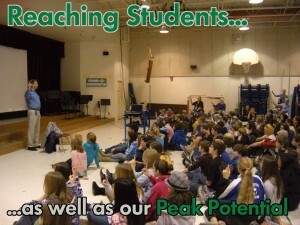 Finally, we are less than 48 days away from our 9th Annual Peak Potential Event. While we are sold-out (Thank you!) and have tremendous sponsorship support, we are still working on the Auction details and ensuring it’s an event worthy of all those who put their trust in us for that very goal! I hope you’ll forgive the two week hiatus and join us in celebrating the handful of exciting details above as well as the very big news coming next week. Tags: Book, community, Inspiration, Motivation, Randy. The team with the Rainbow Mountain Range behind them. So much of my life has benefitted from the incredible people with whom I have partnered along the path. In this book project, I’ve had partnerships aplenty. Even in the writing I was not alone as Tracy and I have been in this together, poring over every chapter, page, line and word to craft what we believe is a quality result. My friend Gene has been the editor — not just for the grammatical errors, of which there were many notable issues, but also for some excellent content guidance. My first and full test reader, Chris Woods, knows me well enough to share candidly even on some of the difficult topics: what works, what didn’t work, what needs more, and what needs to go away. Greg Neault has agreed to create the cover design for us and we are well on the way to finishing that process. Many more friends have had roles of encouragement and support bringing us to the effectively finished product of this book: See You at The Summit – My Journey From The Depths Of Loss To The Heights Of Achievement. Now I’m asking for some of you to consider joining a new team with me. We are set to publish and have the process reasonably well in hand. I think most already know but for clarity, we are going to donate all of the proceeds at this point to 2020 Vision Quest and that increases our desire to help this be an excellent success. We have chosen to manage all the promotion and events geared towards making this the best success possible. When do we reveal the cover and how? 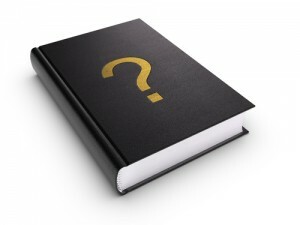 Where and when might I appear for book signings? How do we create the network of readers and enthusiasts who hopefully help us share a book we think has value to the world? This means I’ll need to convince you of its value as well and that’s no forgone conclusion on my part. 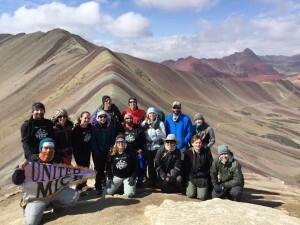 The more places we can think to reach out and connect to build excitement and connectivity for the book and its impending release, the better a success we may find for us and the 2020 Vision Quest charity. We believe the launch will officially happen on November 17 at our 9th Annual Peak Potential Dinner and Auction. This means I need to quickly get to work on all the best planning and approaches and it starts with this core team. Initially we need brainstorming and eventually we’ll need to be reaching out and contacting opportunities for signings, interviews and general promotion. If you wish to help us on this big project, reach out to me with questions, comments or simply your suggestion you want to help and I’ll make a list. My intent is to communicate with an occasional conference call, some form of electronic connection such as an email list and very rarely, if ever, a live get-together. Some of us may meet at times if convenience encourages but people near and far may contribute and I’m eager to get started. My first outreach will happen on September 15 to the entire team at that point. We’ll have only two months until launch and so need every bit of that time. So what do you think? Want to be part of this next team? Tags: community, Inspiration, Outreach, Randy. What is behind our educational presentations at schools throughout New England? We are told many times and in various ways that the most important part may be that inspired students and staff are often more motivated to believe in themselves, set goals, manage obstacles, face adversity, utilize problem solving, enhance perseverance, and many more positive methods of managing life as a result of our time together. This is no doubt part of why so many schools invite us to return regularly to speak with students year after year. It is also why we are inspired to give our best effort to connect with more students and schools. But in order to accomplish this, we need your help. We rely on those who are familiar with our presentations to share the opportunity with teachers, administrators, PTA organizations, or simply anyone connected with the process by which a school might consider bringing us to visit. We are launching a new website very soon but the links will remain constant and the basic process is well defined such that simply sharing the link with a word of encouragement might be all it takes to provide the opportunity. We suggest our For Educators page. Sharing our site accomplishes a significant part of the need in helping more people become aware of the opportunity we provide. A second and equally important need involves the many volunteers who help Autumn and me arrive at our destination for these presentations. We keep a private Facebook page for 2020 Vision Quest Volunteers in which I post each opportunity and allow the approved drivers to choose if they are available. I would welcome as many of you as are able to consider joining the group to enhance the possibility of those rides being available to make the school visits possible. There are many people who have kindly put themselves on the list, but with so many visits throughout the year, we are often in need of more volunteers to manage the diverse timing and locations of these opportunities. I also keep a (presently short) list of email contacts in the event the one post to our Facebook list fails. 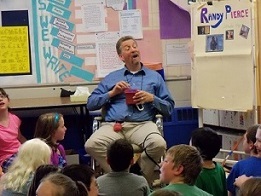 It is worth mentioning my friend Rick Pereira has chosen to be a fail-safe plan and thus has accompanied me to more school presentations than anyone else through the years. Without his invaluable service, our ability to deliver our presentations would be significantly more challenged. There are several people who have been tremendously supportive in this fashion and if you are unable to join the Facebook group but would be willing to join my list for emergency outreach, please drop me an email and let me know how I might reach out to you in such a situation. Ultimately, we are confident in the benefit of our presentations and will continue to strive to ensure we provide a positive enhancement to the students and schools as we have done since our inception. As we work towards our peak potential in helping more, we always celebrate the value of team–Together Everyone Achieves More. With your help, we can powerfully realize that and work towards an excellent year ahead. I hope you’ll join us in some fashion, including helping us boost the signal by sharing this post as widely as possible. 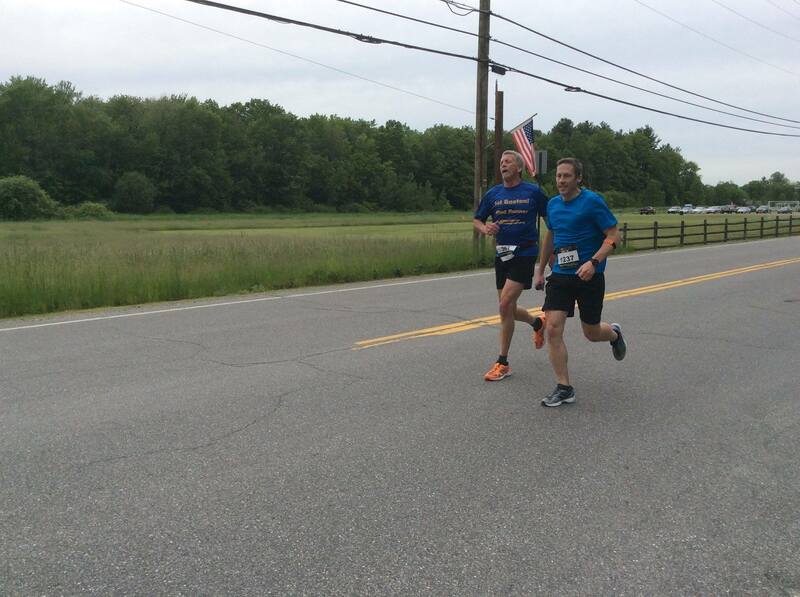 Rodney and Randy running the Hollis Fast 5k 2017. Once again I have chosen to undertake the arduous training process to run a marathon. Once again I have a guide so incredibly generous as to undergo the process with me that we may challenge the course together. My friend Rodney Andre has likely logged the most running miles with me and though many of them have been hard working miles, all of them have been enjoyable due to his fun loving, easy going and thoughtful approach to both running and life. This is why I’m pleased to announce he will guide me as I return to the California International Marathon to enjoy the entire experience surrounding the United States Association of Blind Athletes National Marathon Championship. They provide a weekend of special events to celebrate athletes from around the nation, in fact the entire world, to highlight ability awareness and the sport of running. This wonderful course provided me the B1 National Championship in 2014, but two subsequent attempts have been disappointing, including my trying to grit out the mileage on an ankle I’d badly dislocated in mid-November. It’s time to ready myself with a deliberate training program to ensure I can deliver a quality run for both Rodney and I to enjoy and succeed in our quest. As in all such races, I want to perform as well as I’m able and that requires putting in the time for 16 weeks, 112 days and hundreds of miles in all range of weather conditions. It’s almost a part time job to make the training work, but it is also a labor of love as most of those runs are gratifying during or at least shortly afterwards. The training plan is underway, my guide is settled, and the rest will play out between now and Sunday, December 2. There are so many talented VI athletes running the course I cannot reasonably guess how I’ll stack up against them as I compete with the full range of ages in my B1 (total blindness) division. I can ensure that I’ll give my best and that with Rodney guiding me there will be many laughs, much determination and an expectation to savor the experience. Tags: challenges, disabilities, Inspiration, Randy. By choice of planning and response I work to sustain life as a generally positive adventure. Nonetheless, I’ve often shared the reality of challenge and frustration which work into my own life and in particular this week I hope to provide a glimpse of a sight challenge frustration. When I fly, my ears often become blocked upon landing and I find my hearing significantly impaired, a poor accompaniment to the total blindness. In fact the cold I’ve had since my Scotland trip has similarly kept my hearing more challenged than normal and perhaps that has heightened my awareness of the challenges resulting from my blindness. It has heightened my respect for my peers who manage Usher syndrome (sight and hearing impairment) or the incredible people such as Helen Keller who thrived despite a complete lack of sight and hearing. The reality is, change is difficult and for each of us adapting to a new level of challenge may naturally increase the potential for difficulty and frustration. 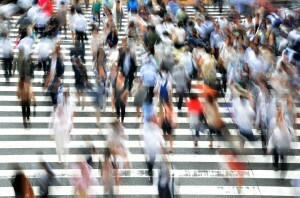 Where I find it the most difficult is in a generally busy public location. A multitude of difficulties converge to intensify the problems. First, I’m trying to discern an unknown environment with limited resources at my disposal. Losing the directional components of my hearing (and often more) means I have the touch of a guide dog harness, cane or sighted guide, the smells of the environment, and a cryptic level of verbal communication to guide me. These are interfered with by the background noise and jostling crowds. 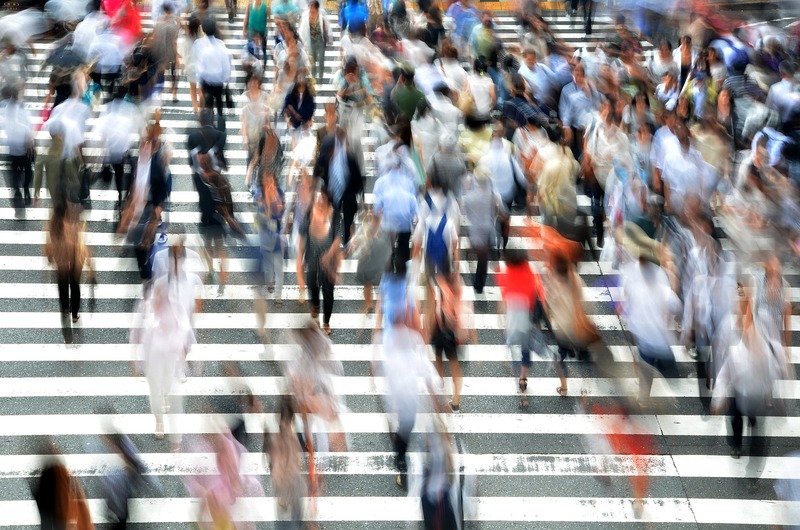 If the nature of those crowds are to be time pressured, as in airports, or distracted, as in the world of smart devices, the results can magnify significantly. The overall level of awareness of people has seemingly plummeted significantly over the last decade. Amidst the jostling or worse, it is rare to get an acknowledgement in a frenzied environment and despite my large size, rather adorable Guide Dog (she and I like to think), it seems most people do not recognize the signs of my impairment. It similarly proves difficult to get them to pause in their pace long enough for a moment of inquiry and if I manage to get a pause and a realization of my sight challenge it is yet another challenge to quickly build the right foundation of interaction for a truly helpful response. I do not suggest for a moment a malign intent–in fact most people in the right situation and with the right realization are incredibly supportive. In the difficult environment, facing my own challenges and encountering others with an assortment of their own distractions it is simply a common reality to use tremendous focus and concentration to work out the minimum requirements. Those are the difficult days and most of us encounter them in various flavors throughout our life. I share this in part for the suggestion that any of us might slow down a step, raise our awareness, and be more attentive to enhancing the experience of our fellow travelers on the path around us. I also share this to in part ask a bit of forgiveness if in those times of my more significant difficulty I do not have the wherewithal to be at my gregarious best. I do try to slow a step and raise the awareness I can but down nearly 50% of my total senses I may likely fall short of my ideal. Tags: Autumn, blind hiker, Inspiration, outdoors, Randy, success. Braveheart was the last movie I ever watched with sight remaining in my eyes. The landscapes capture my memory still even if the historically divergent Hollywood script was not the source of my early love of the land. The imaginations of my youth fed the adventurous spirit of my later years and I’ve long wanted to hike the highlands, feel the castle stones, hear bagpipes echo off the munros, taste the sea spray of Fingal’s Cave, smell the peat of Loch Ness and so much more from this ancient land. Tracy and I attempted to make as much of those dreams reality in our whirlwind tour of the country. We landed in Edinburgh airport and walked out into a courtyard of shops with an energy belying the overnight flight without sleep. It was a quick walk to an easy rail which smoothly and efficiently cut through city blocks towards our hotel in Haymarket Square. Tracy noted all the personal gardens and shared garden spaces throughout the city as well as an abundance of green space. Temperatures were cool and comfortable, a tremendous relief from the oppressive heat and humidity of London and our home in New Hampshire. The lyrical language around us was a delight to my ears and it was with considerable discipline I did not continuously try to emulate the accents. We had two days to appreciate Edinburgh Castle, including a marvelous walking tour. The “crag and tail” of castle rock provides iconic placement atop the city and “Game of Thrones” fans would find little difficulty in the likely origins of the Lannister homeland of Castlerly Rock. The “Fringe Festival” was in full swing with music, theater, and comedy throughout the city in celebration, ensuring Autumn’s work along the Royal Mile was all the more impressive for the crowds gathered. We did not get to hike to Arthur’s Seat to experience some of the oldest signs of humanity in the city but Facebook informed me which of my friends had been there recently! Off to Sterling Castle, we encountered one of our few disappointments as the all too popular tourist destination had absolutely no parking and we experienced it only from a distance. Deanston Distillery salved our spirits with a tremendous lunch and tasting and we did ultimately replace Sterling with the Eilean Donan Castle later which was one of our more tremendous castle experiences. First though, we had to travel through the Cairn Gorm. This mountain range is similar to the White Mountains in height and wintry ferocity with a bit more remoteness preserved. Though the weather was overcast, the contrast of these open field mountains to our own wooded summits was noteworthy and common throughout Scotland. Arriving to Inverness atop the Great Glen we crossed the river Ness and found our hotel on the shores of Loch Ness. Scotland’s mountains were carved impressively by the glaciers during the ice age and the resulting dramatic landscapes are truly remarkable. The Great Glen runs through to the west side with the Caledonian Canal using the route for travel. I was impressed by the deep smell of peat and Tracy’s reports on the darkness of the lake which combined tremendous depth and peat to hold a haunting sense of the unknown. It is small wonder the legend of the Loch Ness Monster lasted so long. The ruins of a castle destroyed in the Jacobite rebellions provided a haunting ruin over the entire scene even as the immensity of the lake stretched well beyond sight. This stop was our gateway to the Highlands and we set forth the the Isle of Skye through incredible Highland hills. The heather was in full bloom and we constantly used the lay-by traffic stops to capture photos or take a short walk in the beauty and splendor which surrounded us. Sheep grazed everywhere with enormous stretches of road without sign of habitation. We just marveled at the rugged beauty of this land as the mountains plunged deeply and rose sharply with waterfalls and twisting streams in full view due to the open landscape so rare in our New England hills. Rounding one bend and dropping steeply, the ocean of the west side of Scotland emerged pressed tight to the mountains we were within. 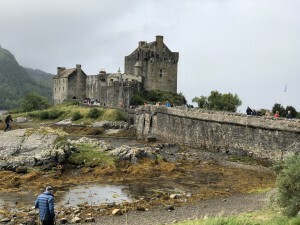 It was here we found the castle of Eilean Donan, popularized in the United States for its use in the “Highlander” film. With more than 2,000 castles in Scotland, few are so well maintained as this gem and we toured through it with the staff encouraging me to take advantage of the tactile offerings of many artifacts on site. 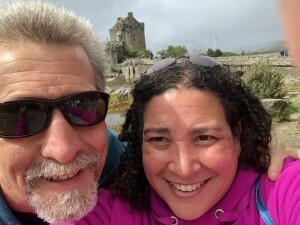 Our half-way point brought us to the Isle of Skye, an absolutely enormous gift in the Highlands. We spent a few nights here nestled in an inlet of Sleat at Eilean Iarmain. Surrounded by the ocean on three sides with the peaks of the Cuillin Munros visible around us. There was a lighthouse adjacent to mark our way although we spent much of our time travelling the immense island. 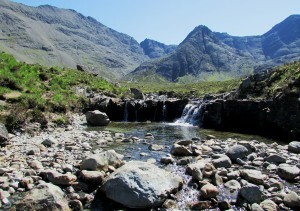 First we traveled west to the edge of the Black Cuillins and a hike to the legendary Fairy Pools. The water crossings had some challenge but the climb was worth the spectacular views our camera could not capture on this cloudy and eventually rainy day. The series of waterfalls and cascades were remarkable and Autumn delighted in her most technical of the generally easy hiking work. At the end of our climb we found ourselves within a few miles of Talisker’s remote distillery and availed ourselves of their spirits before travelling to Portree. A tour to the northernmost point on the Isle of Skye included a stop at the infamous Kilt Rock and Mealt Falls. Of course a bagpiper played in the background as we stood at the windy point and marvelled at the scene. Later we found the ruins of a Clan MacDonald Castle which marked the wind-driven point atop the island. It was here Tracy commented on the absolute vastness of the entire island. The sky seemed limitless here, the mountains immense and unending, the ocean again vast beyond measure. With gusting winds making it hard to stand, let alone walk, it was easy to feel humbled by the land upon which we stood for so brief a time. All too soon our time took us away from Skye. We traveled to Glen Coe and what many feel is one of the most beautiful valleys in all of Scotland. While more renowned to some for the massacre of 1692, it is the beauty of a valley surrounded by mountains from the three sisters on the southern end to the technical ridges of her northern end. We feasted at a hiker’s lodge adjacent to where Hagrid’s hut was located in the filming of Harry Potter. Appropriate since I was in a magical fantasy trip of my own. Oban port images from breakfast. Our effective final stop was Oban Bay, a beautiful port south of Skye and suddenly the best weather of our trip. It is worth noting we did not find Scotland precisely rainy as many might suggest. It did rain at times but mostly it was a quick spritz of rain in one place or another while half a mile further was sunny and beautiful. Occasionally it was full sun for a rain shower. In New England we say if you don’t like the weather wait a few minutes and it will change. In Scotland they say all the seasons in a single day and that showed to be true, though we never saw snow while we were there. 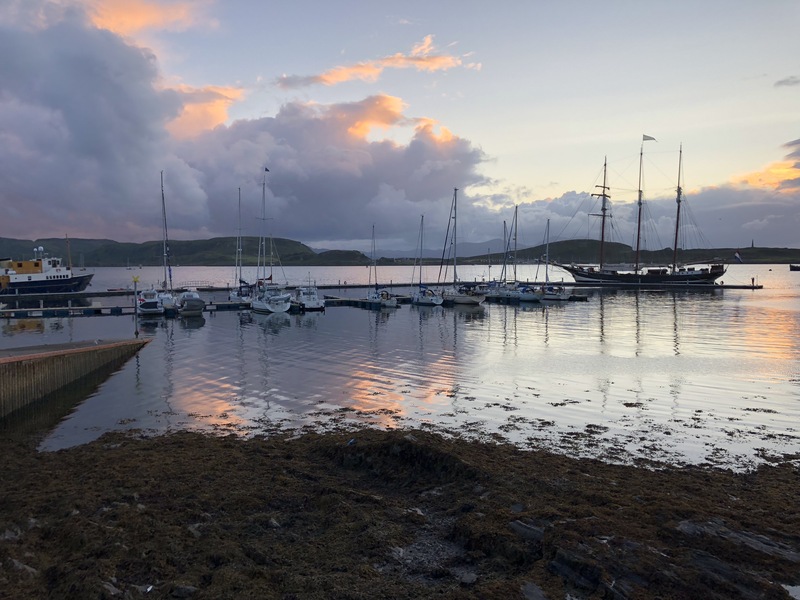 Oban was a beautiful sheltered Bay and it was our launch point for a three island tour of Mull, Staffa, and Iona. Mull, like Skye was immense and we took a bus tour across it to see the many glens, munros, and forests which comprise a seemingly separate world. On the far side we could see the pink granite quarry briefly before boarding a smaller vessel to sail us to Staffa. Autumn’s work in these transitions was solid and the crew and passengers always marveled at her work. Her true work came on the tiny island of Staffa where the walk to Fingal’s Cave was the most difficult of our trip. A guide wire lent stability for me to make it safe but her patient warnings kept me striding where many thought it unlikely for a blind person and guide dog team. Last winter the final section of ledge leading into the cave mouth collapsed and while we were able to view fantastically the incredible basalt column cave of historic fame, the sounds which inspired so many were lost to our ears as the crashing of the waves into the cave did not return the echo of legend to our more distant point. Tracy’s awe was more than uplifting enough to make the trek worthy and as we scaled the perilous stairway to the heights of the island again as a testament to Autumn’s prowess we crossed the island to unrivaled views. 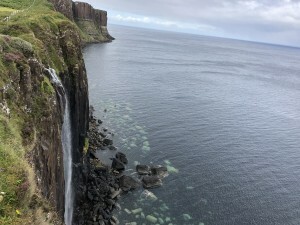 The puffins had left just two days prior and Tracy was sad for the miss, but invigorated by the freedom of our stroll across the grassy top of Staffa island. Here is where I will most remember the taste of the ocean and the scent of Scotland as my girl guided me in the sunlight high above the Hebridean entrance to this land. 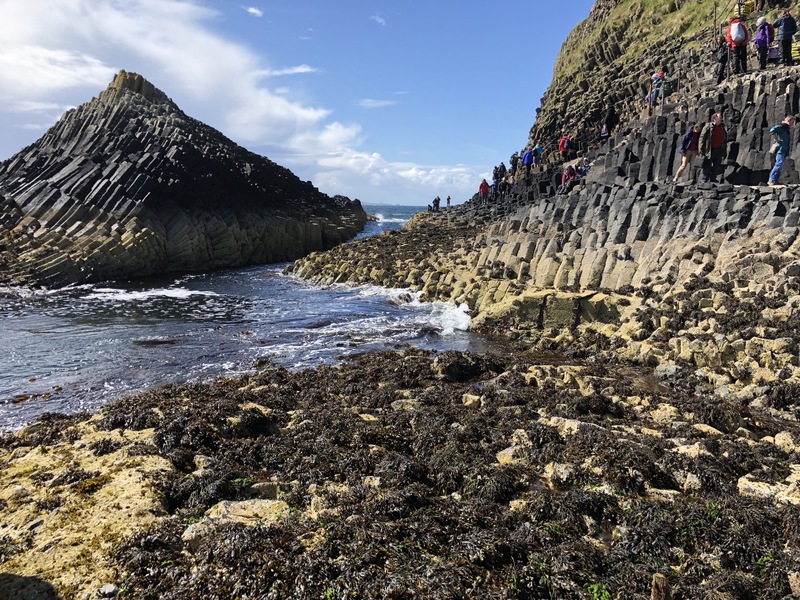 Staffa is the Norse name for the island, meaning stick or staff. I did not use a blind cane on this trip, as Autumn was my link to a freedom of travel beyond what I find with that stick. Scotland was a symbolic freedom of travel as well. In the film Braveheart, William Wallace’s father says “Your heart is free, have the courage to follow it.” Reflecting on yet another excellent adventure, I am so appreciative to have such wonderful dreams and the courage and patient determination to follow them. Tags: Autumn, Hiking, Inspiration, outdoors, Randy, travel. Scotland beckons to Randy, Tracy, and Autumn! “Many miles away there’s a shadow on the door of a cottage on the Shore of a dark Scottish lake. A picturesque castle in Loch Ness, Scotland. Autumn, Tracy and I will soon tread upon the highland hills of Scotland! This trip has been a lifelong dream for me. One of the many lessons Tracy helps me realize is that a goal without a plan is only a wish. Riding to a presentation several months ago, she surprised me with a text message enticing “Want to go to Scotland?” She knew the answer which was a resounding yes and I’d guessed airfares alerted her it was within our comfort range, and so the planning commenced! Thanks to the knowledge of our veterinary team at Mercy Animal Hospital in Merrimack, the complex coordination required to bring a Dog Guide into the United Kingdom has been managed. Taking this trip with Autumn will be remarkable in ways many of our prior adventures didn’t allow. While her faithful devotion is without question, we will begin in Edinburgh for a couple of days where high on my list of places to tour is the home of Greyfriars Bobby. 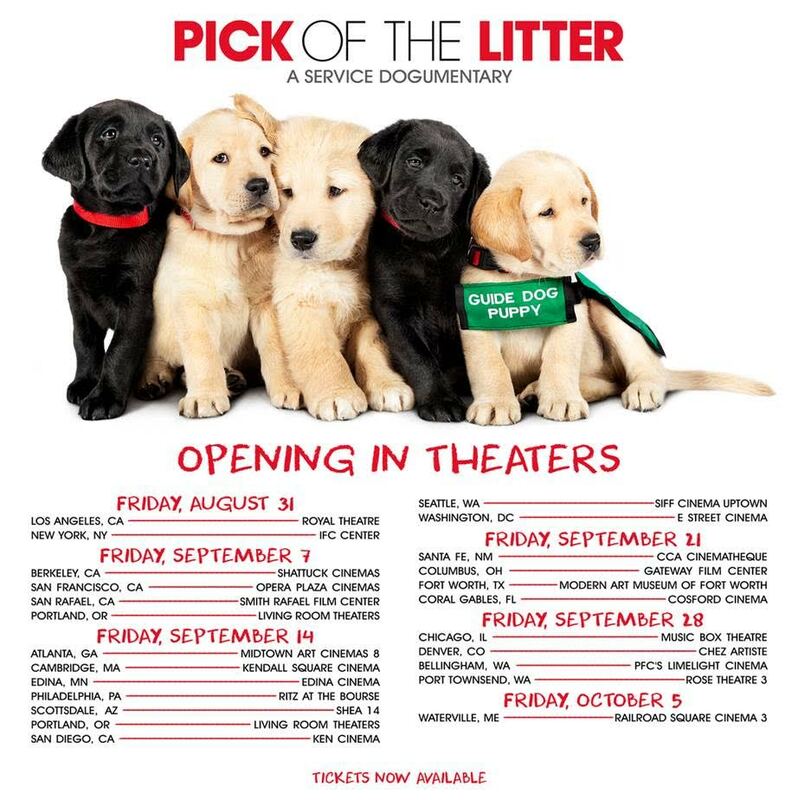 This unprecedented story of dog dedication will be a heartwarming start to our trip. 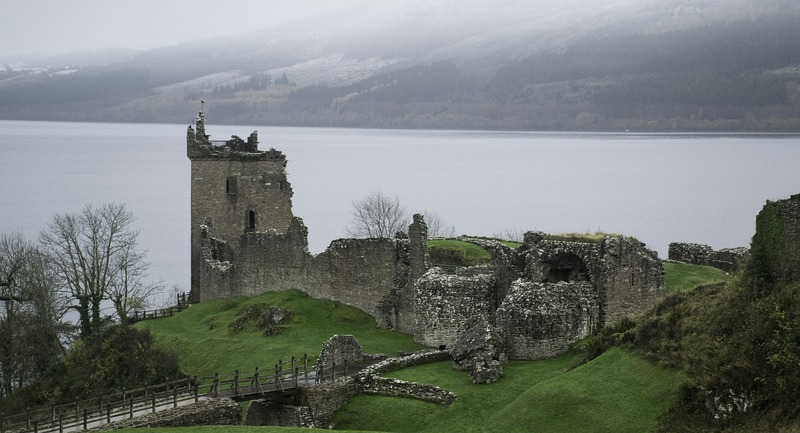 We’ll explore castles and culture for all too brief a time in appreciation of auld lang syne. 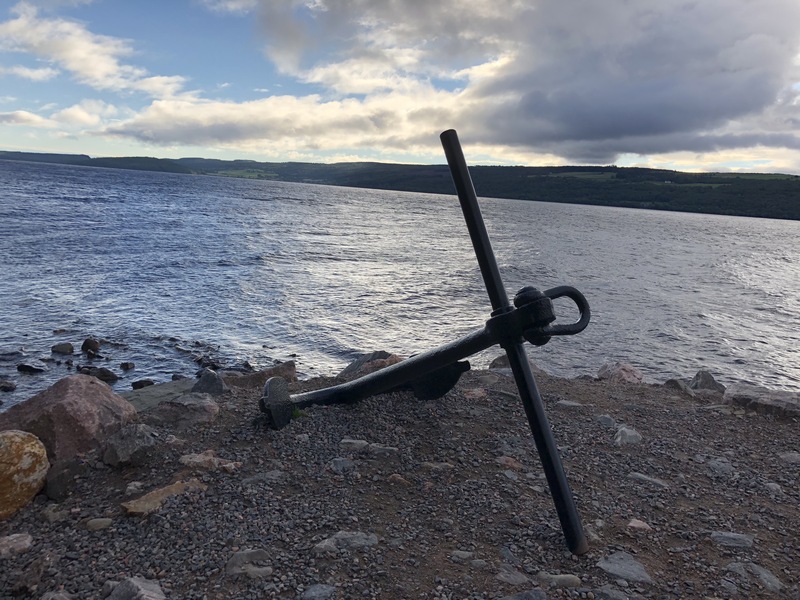 After a few days, we’ll travel north towards Inverness and a stay on the shores of Loch Ness. 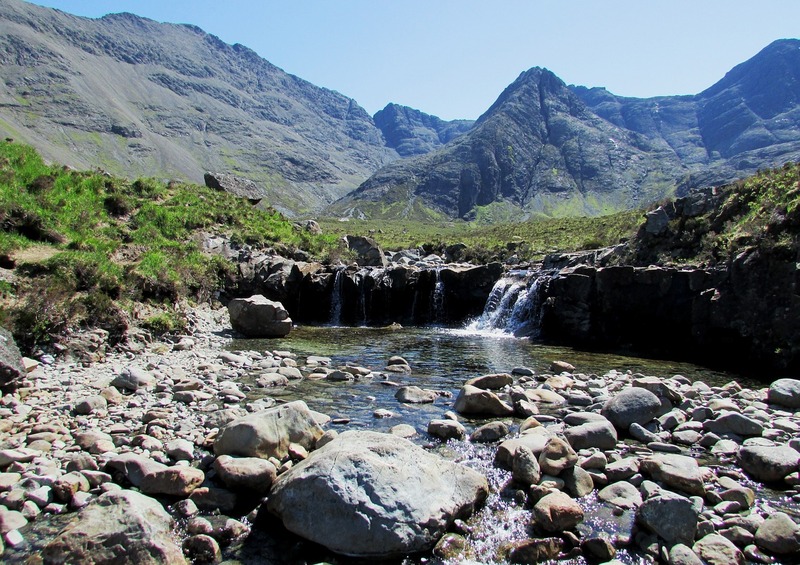 Several short hikes from our base there entice me, including a couple which tribute some of the splendors so aptly described by the Bard of Scotland, Robert Burns. I hope to stand overlooking the waterfall and feel the inspiration which inspired him to write Lines on the Falls of Fyers. 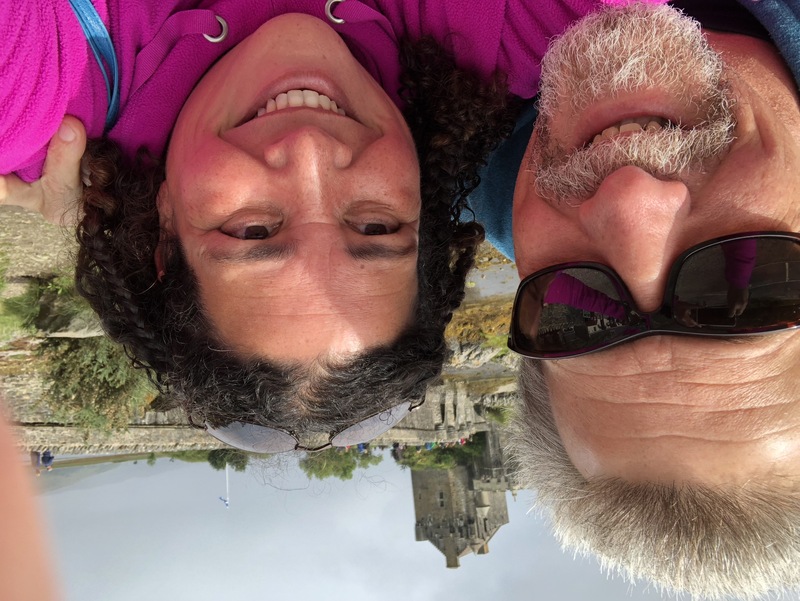 Too short a time to hike in the highlands, we’ll take solace in our travels to the Isle of Skye and the magic of the Fairy Pools, Cuillin Mountains and ocean serenity for several more days of relaxation. Finally, the port of Oban promises scallops the size of tennis balls as a partial prize for the culmination of our trip. 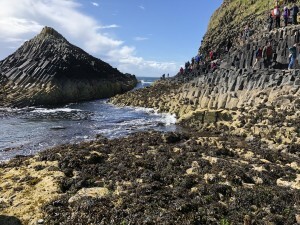 We will take a tour of three islands into the Hebrides and particularly to the Isle of Staffa and Fingal’s Cave. This acoustic gem has been on my list to hear, smell, and even taste. I’m sure Autumn and Tracy may have their eyes and ears tuned to the puffins who inhabit the island, but for me voices older than my time took inspiration from the thin ledge upon which I’ll stand to hear the siren song of this cave and to let my own song echo into its depths even for the briefest of moments. All too soon we’ll be boarding planes to return to New Hampshire and our home. We’ll have more tales to tell although the greatest story is the one we’ll share in our experiences together there in that far off land. Tags: Autumn, community, disabilities, Inspiration, Randy. Blind Baseball: Future in Sight Knights take on the NH Fishercats on August 26! Autumn meets Fungo, the mascot of the Fishercats. I love synergy: the working together of two things to produce an effect greater than the sum of their individual effects. On August 26 at 10:00 a.m., I will participate for the Future In Sight Knights as we take on the NH Fishercats in a competitive game of Beep Baseball at Northeast Delta Dental Stadium! Our game will be a warm-up for the Fishercats who will later host the Binghamton Rumble Ponies at 1:30, but you can join us for our game, lunch, and their game as part of a fantastic Sunday Summer extravaganza! What is Beep Baseball and how will our blind/visually impaired team possibly have a chance against this professional baseball team? 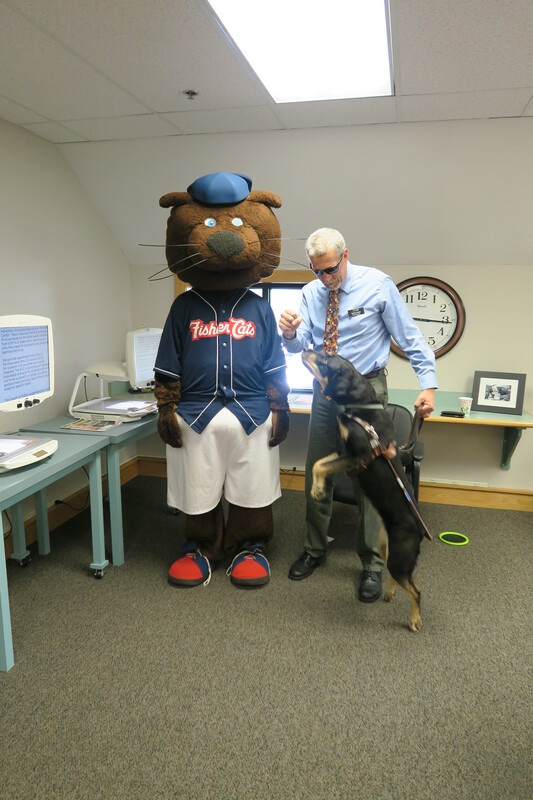 No, we won’t be using our Guide dogs as secret weapons–though Autumn did love her meeting with Fungo, the mascot for the Fishercats who have partnered up with Future in Sight to help us accomplish several worthy goals in support of each other. My teammates and I all derived significant skills and support from Future In Sight, including an emphasis on “Ability Awareness.” The notion we can achieve with a little creative problem solving is at the heart of the training and services provided by Future In Sight as they help ensure people experiencing low or no vision can participate in the life enriching activities we all deserve–and this Beep Baseball game is a great opportunity to showcase it at a very high level as we take on professional athletes in this grand event! I first played Beep Baseball for the “Lowell Lightning” back in 2002 and 2003. It’s baseball, or more closely softball, with a few different twists. The ball has an electronic beeper within it so it makes a noise that a batter or fielder can hear and use to react accordingly. All participants will be wearing full blindfolds so that everyone will be on the same sight level as me, no light perception, total blindness. The one exception to this is the pitcher is sighted and is on the same team as the batting team, trying to make the pitches easier to hit rather than more difficult. When the ball is hit, there are only two base options, effectively first and third base. As soon as the hit is made one of the two bases will being beeping and the batter must hear which one and run towards that base. The object is to reach that base before the defensive team in the field is able to get control of the ball. If the runner reaches the base first then it is a run. If the fielder gets control of the ball in their hand first, the runner is out. This prevents blind runners in the field of play with blind fielders, a recipe for collisions! There are typically sighted coaches in the field who are allowed to make simple number calls to help the fielders decide who will field or back-up an incoming hit but otherwise it is solely managed by the sound. Based on the speed of the ball, a fielder will typically get themselves in front of it and lay across the path to halt it and wrap around it as quickly as possible. Knowing whether to charge towards a slower ball, back up for a quicker ball just get down in the right place is the largest challenge to fielding. There are many tips and tricks I hope to keep for my teammates as we face this professional team, but what is our edge over these talented athletes? Most of us are familiar with very low or no sight and should make some of the sound based adjustments fairly well. For the Fishercats it will be an untypical experience for them to switch to an entirely audible world. Do they have the advantage? I expect their swings to be smooth and strong, their pitching precise and their coordination excellent. This makes us the obvious and easy underdogs, but Autumn knows we like to achieve the unexpected. I hope you’ll come out and watch a historic game, a fun game, and get a whole new perspective on baseball, ability awareness and the benefits of organizations coming together to make a difference: synergy! Bad Behavior has blocked 152 access attempts in the last 7 days.